Plated chain for use with Brompton transmissions. Use 3/32" chain when both chainring and sprocket(s) are 3/32, as found on all new Bromptons. 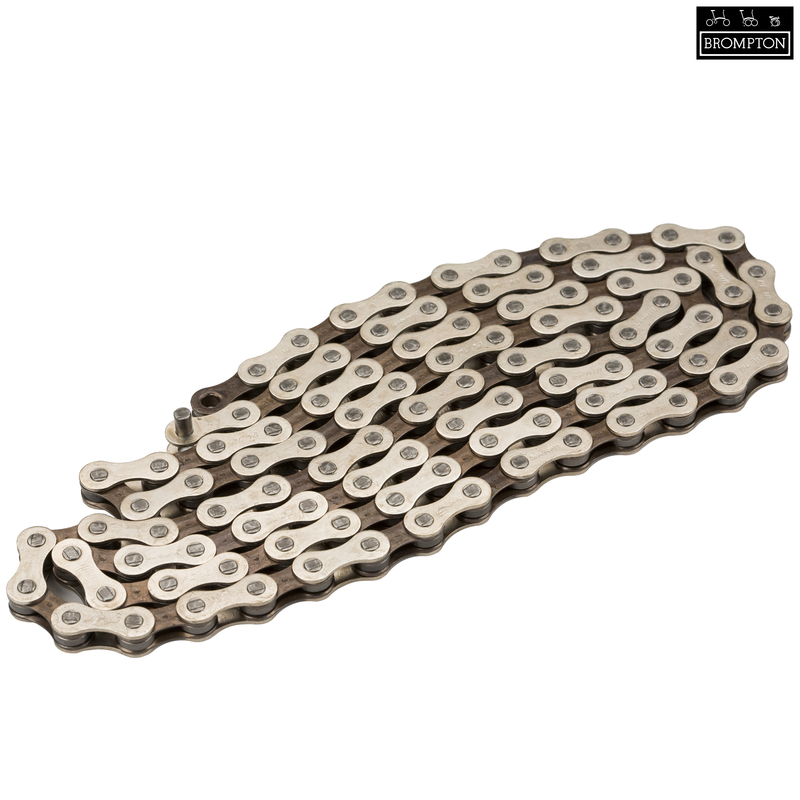 100 Link length for use on a 2/6spd with a 50T front chainwheel and either the 12/16, 13/16 or 13/15T combinations of rear sprockets. 100 Link length for use on a 1/3spd with a 54T front chainwheel and either 12 or 13T rear sprocket. What is the weight of this chain?